As the global war for talent intensifies, the pressure is on for companies to obtain the best possible results from new hires. Investing in a clearly-defined set of processes for new employees creates a positive employee experience which encourages loyalty and the organisation protects itself from losing talented team players to competitors. Introduce your new hires via a series of induction processes, collectively known as “onboarding”. If you implement a positive onboarding process, you are more likely to retain 60 percent of all new hires for longer than three years. The numbers speak for themselves; there are substantial benefits to be had. The most effective onboarding processes focus on organisational culture, behaviour and knowledge, with special attention also given to expected performance. The results are remarkable: faster adjustment to working environment, increased productivity and targets reached within a shorter period of time. Everything you want your new hire to do. The best onboarding programmes from companies such as Google and Facebook tailor these strategies to the business’ ethos and personality in an engaging, original way. Giving new hires specific detail attracts positive results. For example, don’t say that your company values providing clients with a prompt reply; rather, if the expectation is for all employees to respond to client emails within one hour, say precisely this. The more structured and specific you are, the more supported new hires feel. If new hires feel supported they will be more productive. Introduce new starters through an engaging new starter manual telling your company story and providing the details a newcomer needs to know about your company in order to feel part of the team. Details such as company-specific acronyms, key locations and dates as well as showcasing social functions, groups, reward programs and available training all help a new starter to settle in. Providing detailed insight into company culture goes a long way. Have you remembered the why? Training is an integral part of successful onboarding programmes – if it’s administered correctly. Combine teaching new employees how to do their job with why it needs to be done in a particular way, thereby making the process far more intuitive. Pairing new starters with a mentor is an effective strategy to reinforce new starter training, offer continued support and encourage relationship building within the team. Effective mentoring encourages the new starter to feel comfortable providing feedback about their experience. Immerse new starters in your onboarding processes in the first week. The secret is to tailor these processes insofar as is possible to your company ethos. When in doubt, allow innovators such as Google and its “Noogler” baseball caps for new starters, to inspire you. The best onboarding programmes encourage new starters to feel valued, welcome and a key part of a successful team. In return, new starters are engaged, productive and keen to achieve. Just what your business needs to succeed. Athena Executive Search. 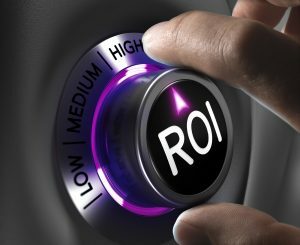 If you are serious about optimising the ROI from your new hires in the Print and Packaging sectors Athena can help. Our 7 Step Recruiting System is designed to ensure that you can recruit and retain the top 15% of candidates in the Print and Packaging market, candidates who are motivated by much more than money. We work in partnership with our clients to fully understand their requirements and ensure that newly recruited staff are joining for the right reasons and looking to develop a long-term career.